The Nokia BH-214 is probably one of the most overlooked Nokia accessories, standing in the shadows of the popular “single-ear” Bluetooth headsets such as the BH-607 and the stereo Bluetooth headsets such as the mighty BH-905. Considering it’s versatility and performance, we kind of expected these to be more popular, but it seems that the majority of the consumers prefer standard Stereo Bluetooth headsets or the traditional Bluetooth headsets. Next time, should you consider the BH-214 instead? The BH-214 is a Stereo Bluetooth adapter with a built-in clip and 3.5mm audio jack, allowing you to use your headphone of choice. If you noticed we called it an adapter and not a headset. Technically a headset consists of both headphone and a microphone. The microphone itself is built into the BH-214 and it isn’t until you attach an ear/headphone can it be categorized as a Bluetooth headset. 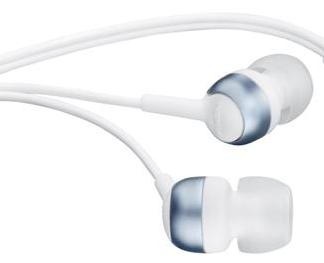 Even though you do have the option of using you own headphone, Nokia does include one (in-ear) called the Nokia Music Headset HS-44. The BH-214 seems to be a direct replacement for the Nokia BH-500, gaining a more refined and sophisticated design, but looses the included Nokia Wireless Audio Adapter AD-47W, a Bluetooth USB adaptor which lets you use the BH-500 with your PC. 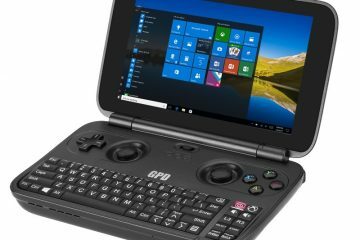 But as most modern laptops and desktops already have built-in Bluetooth, we certainly agree with Nokia’s decision to drop that accessory, which should help lower the overall price. And in fact it did. 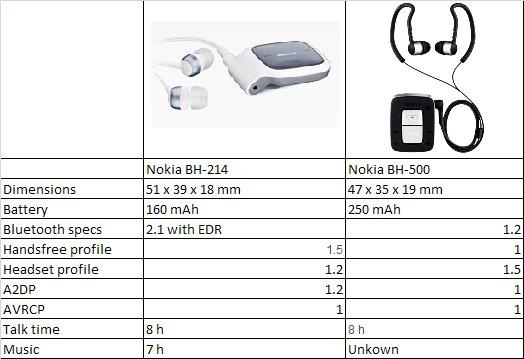 The Nokia BH-500 was a fairly expensive accessory and it was pretty common to see it offered well above the $100 mark, while the BH-214 can be easily found in the $50 range, making it a very good deal. Compared to its predecessor, the 214 seems to be the overall winner and even though it does have a smaller rechargeable battery, Nokia has managed to squeeze similar talk/music times as the 500, which is a very impressive feat by itself. 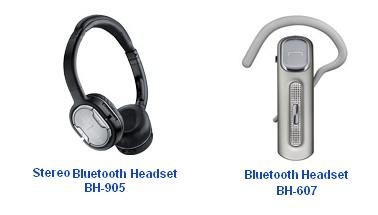 However its still a mystery to us as to why the older BH-500 has the more advanced Headset profile 1.5, while the newer product includes the lower 1.2 profile. When it comes to design, the BH-214 takes the complete opposite route compared to what we saw on the BH-500 and goes for a white and light grey theme. The overall look is traditional Nokia with the square shape, rounded edges and an almost futuristic design typically found with Nokia accessories. The overall white and grey theme holds surprisingly well against scratches, dirt, smudges and anything else that the elements can throw at it. You will have to clean it from time to time, but not as much as we expected. The front of the adapter is dominated by a see-through plastic that has a light Blue-Grey color, giving it an almost glass-like effect. They also subtlety integrated the answer/end and music controls in this see-through plastic, giving it a nice minimalistic look. Completing the design is the Nokia logo behind this plastic cover. Despite throwing it into a bag full of keys and other gadgets that might get it scratched, we were surprised to find that it’s virtually scratch free. 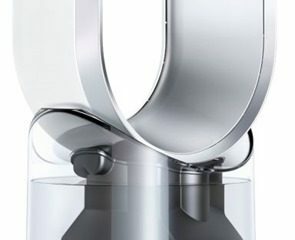 The back of the unit is done in a light silver plastic finish, but is mostly dominated by the integrated clip. The clip is integrated into the shell of the body, making it very sturdy and difficult to break. The top has microphone, power button and indicator light. This light if of the multi-color kind, serving several purposes instead of cluttering the overall clean design. There’s also a 3.5mm audio jack right where the body and clip are held together. The right side has the volume controls , while the bottom and left side are free of any buttons. 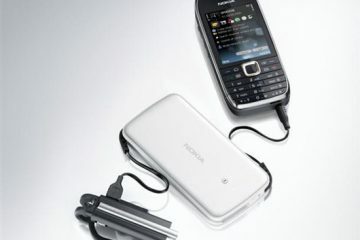 The supplied Nokia HS-44 are mostly White, but has a light Blue-Grey accent to match to the BH-214. In certain situations we did find the cable for the HS-44 way too short and a bit to thin for our taste. For this last reason we really don’t expect them to last long and they got tangled way too easily. 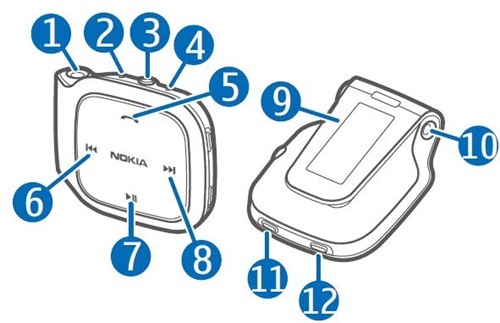 With the addition of the clip, Nokia expects the BH-214 to be held close to your head making the short cable something you could work with. But in certain cases you’d want to clip the BH-214 lower, for example on your belt or pocket. For these cases the cable is simply too short, forcing you to clip it closer to the neck area. However we do expect that a good chunk of BH-214 owners will buy this product for its music capabilities and simply swap the HS-44 for high-end headphoneS or in-ear monitors. Both the BH-214 and HS-214 impressed us during the performance tests. Nokia states that fully charging the battery can take up to 2 hours, but during our testing we found this to more in the range of 30 to 45 minutes which is reasonably fast. However in future version of the BH-214, we would like to see a fast-charge system, like the one used on the BH-904. We were easily able to connect it to our laptop, Playstation 3 and several mobile phones with any problems. You can pair it with up 8 devices, but it can hold a connection with only 1 device at the time. In future versions we would like to see it have the ability to connect to two devices simultaneous, like a mobile phone and laptop for Skype calls. This is a future we’ve already seen on the BH-904. The Bluetooth wireless range was something that truly stood out. Perhaps due its larger size, the BH-214 was able to hold a connection at almost twice the usual 33 feet (10 meters) range of your typical Bluetooth headset and has the longest Bluetooth range we’ve ever seen! This was only equaled by the ultra expensive Nokia BH-905. As we moved farther away from our test mobile device, the music seem to almost pause for a split second, but quickly continued without any problems. Our guess is that as you increase the distance the BH-214 will increase it’s power to keep performance in check. Another interesting observation was how the BH-214 maintained its solid performance even with 2 walls between us and the test mobile device. But were the BH-214 truly excelled was in the audio department, earning a flawless performance. Even more impressive when you consider that this is coming from a $50 accessory. The supplied earphones are usually the last thing manufacturers think about, but despite the HS-44’s short and thin cable, it also positively surprised with us a very good performance. Listening to these was like listening to $75-$100 earphones and not some bonus earphones included with an accessory. We decided to takes things a step further and attach the $550 Shure SE530 PTH to the BH-214. This little wonder was able to easily drive the SE530 with clean audio and plenty of volume headroom into levels that would do damage. With so many Bluetooth accessories lacking in volume, the BH-214 falls into the rare category that does. We simply couldn’t tell the difference with the our reference Shure SE530 plugged directly into our test Nokia N900 or wirelessly connected to the BH-214, proof of its audio output quality. Phone calls with the BH-214 sounded excellent, with the supplied in-ear HS-44, it sounded a bit too good. However be prepared for a few stares while using the BH-214 for calls. With a tiny and compact body, the BH-214’s 3.5mm jack could easily be put to use with more than just earphones and headphone. It worked nicely with speakers that accepted a 3.5mm audio-in, making our Bluetooth enabled smartphones a surprisingly good wireless remote. 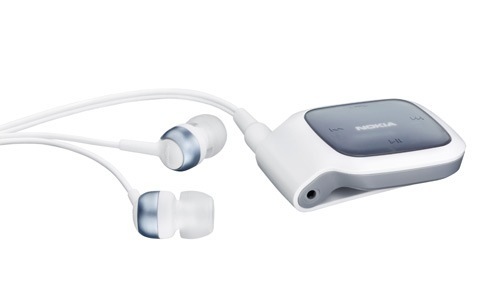 If you love music, especially streamed wireless, you should take a serious look at the Nokia BH-214. Audio streamed vai Bluetooth has been synonymous with lower quality and in fact it still is. The BH-214 is one of those rare devices that shows that wireless audio can sound as good or close to what can be achieved with a direct cable connection. During our testing with high-end earphones the BH-214 proved that it can sound as good as plugging our reference In-ear monitors directly to our mobile device. The supplied HS-44 earphones sound surprisingly really good, even though its cables are thin and way too short. This shouldn’t be such a big problem as we expect many owners to simply swap these with custom with high-end earphones or headphones. The BH-214 had one of the longest wireless range we’ve seen on an accessory and battery life is equally good to its predecessor with a smaller battery. If you own high-end earphones or headphones and want some wireless freedom? We highly recommend the Nokia BH-214. It gets a 9.9 out of 10. -Holds surprisingly well against dirt and scratches.